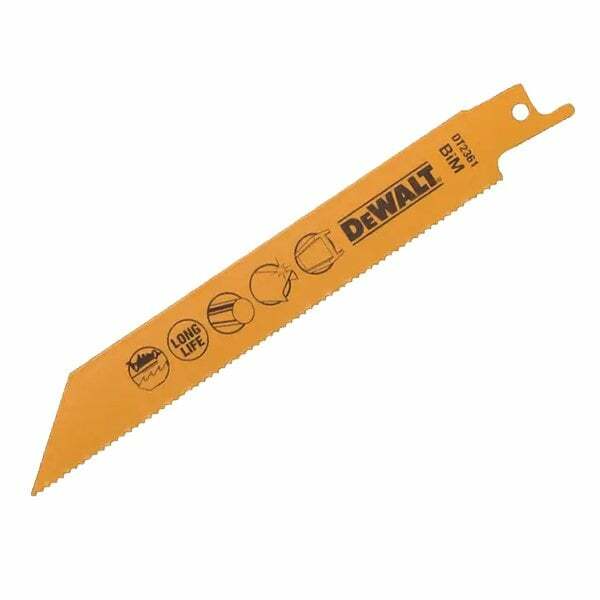 The Dewalt bi-metal construction blades combine HCS and HSS for increased flexibility and durability. The universal shank fits all major brands including DEWALT, Bosch, Hitachi, Flex, Makita, Metabo and Skil. The blades have an aggressive shank angle for longer cutting life with sharper tooth geometry for faster cutting in ferrous and non ferrous metal, sheet metal, pipes and profiles. Application: Fast cuts in ferrous and non-ferrous metal, sheet metal, pipes and profiles.